Unlike many MTB saddles, there is quite a bit of dense padding at the front, by the nose. In this case, Ergon uses Orthocell. The SM has a broad central relief channel and fairly wide width, for a S/M size. The cover is a textured microfiber cloth. Although it’s synthetic, it feels a lot like leather. TiNox rails get the weight down to 270 grams, which is pretty darn good for a saddle with this much padding. Taking cues from the simplified yet universally adept line of women’s saddles, the three SM (saddle mountain) Men’s saddles share the same mountain bike-specific Y-shape along with ergonomic features intended to increase comfort and riding efficency. Available in two sizes, S/M and M/L, the SM Men was developed from the ground up to balance the comfort and performance needs of a mountain biker while helping to alleviate discomfort and health risks associated with the male pelvic shape and genitalia. The center channel grows deeper from front to back, relieving pressure around the sensitive urethra, which is a main cause of discomfort and numbness. 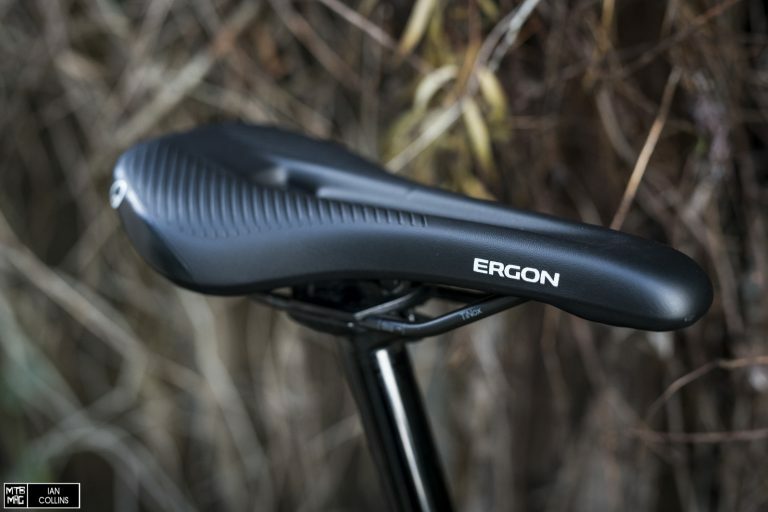 Ergon was able to keep the saddle stiff by using a unique shell shape that is the first to offer the ergonomic benefits of a “cutout saddle” while maintaining torsional stability and improving comfort by minimizing harmful pressure. 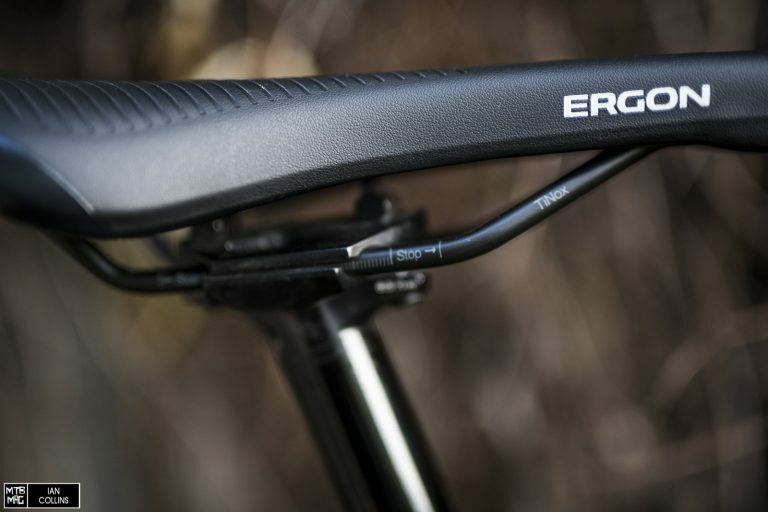 Additionally, the Ergon SM saddles come equipped with a clip on the rear for a light or a saddle bag, so even on bikes with a dropper post, ergon riders can use certain Topeak saddle bags — such as the Wedge Drybag — to carry a tool, spare tube, etc. The SM Pro Men model comes in Stealth Black or black with blue or red accent colors and sports Tinox rails as well as lightweight AirCell® foam that better supports the rider for all-day comfort. Both the Comp and Pro models use OrthoCell® inlays for improved comfort and vibration damping at the sit bones’ contact points. 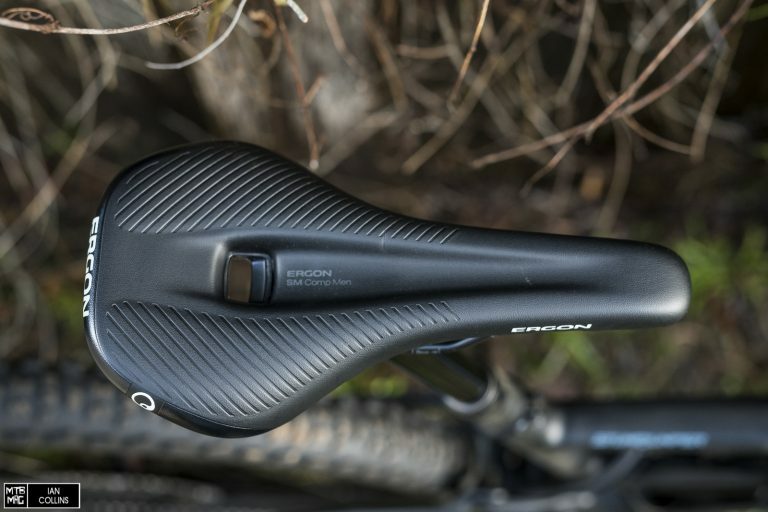 The SR (saddle road) Men line builds on Ergon‘s knowledge of gender-specific ergonomics and was developed from a deep understanding of the male anatomy and vital health concerns associated with long hours in the saddle. Ergon created the SR with a focus on minimizing pressure on sensitive areas, maintaining blood flow, and optimizing pressure distribution. Ergon engineers found that the male pelvis is less flexible; requires a more upright position on the saddle; the pubic angle is much steeper than the females; and the male perineal area is extremely sensitive to sustained pressure. A specially-engineered saddle shell with a progressively deepening relief channel keeps the foam even across the entire surface and allows for the rider’s weight to be evenly distributed onto the bone structures (sit bone and parts of the pubic blades). 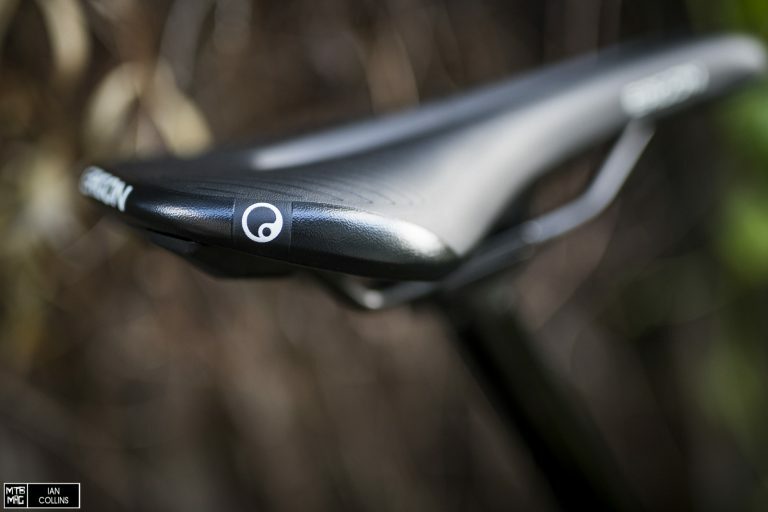 The traditional Y-shape and friction-free side flanks keep leg motion unrestricted for the constant seated pedaling required while road riding. 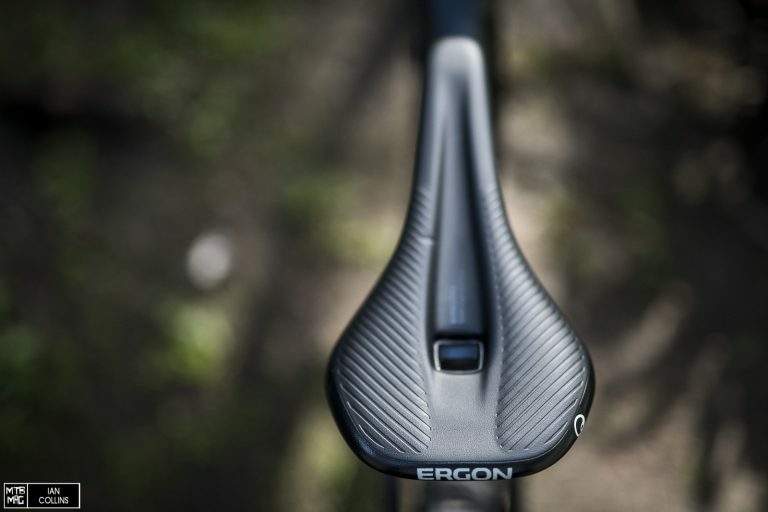 Available in three different levels, including the sub-$200 SR Pro Carbon, the Ergon SR line is the most competitively-priced premium saddles on the market and there is a saddle option for every road cyclist looking to improve comfort on the bike, minimize harmful pressure, and offer invaluable peace of mind for riders spending many hours in the saddle.